I used to stay in Bangkok for only a night or two on my way somewhere else. Many people still do, thinking that there is something more exotic or interesting about Koh Samui or Phuket – something more “Thai” about these places. How wrong they are: the problem with Koh Samui and Phuket is that they are tourist traps. I tried them, they failed. The beaches are, in general, quite grubby and there are way too many KFCs, Seven Elevens and fake Gucci bag peddlers for such small islands. The city of Bangkok will never, in my view, be as special as Sukothai which is my favourite place in Thailand – I have had a rather magical esoteric experience there that I’ve never have in other place I love Chiang Rai too. However, neither of these cities are travel hubs and are considerably off the beaten track for travellers on time restrictions. Bangkok still hits all the marks as far as things you could wish for in a big city – it has elements of the interesting, exotic and “Thai” as well as all the KFCs and fake designer shops for the plebs amongst you who seek such things. I don’t like to be rude but… it’s just as well for said plebs that the Thais are so friendly and accustomed to the ways of the vulgar tourist. Of course the culture in Bangkok is different to that of the other places in this diverse country, it’s more international and busier than all the other cities put together. I find very cheap Chinese hotels to stay opposite the Hua Lamphong railway station (the main one) or along Thanon Khao San and Chakrapong. Khao San Road used to be a market place but since the early 80’s it’s become one of the main backpack centres of the world and a famous fixture on the Banana Pancake Trail. 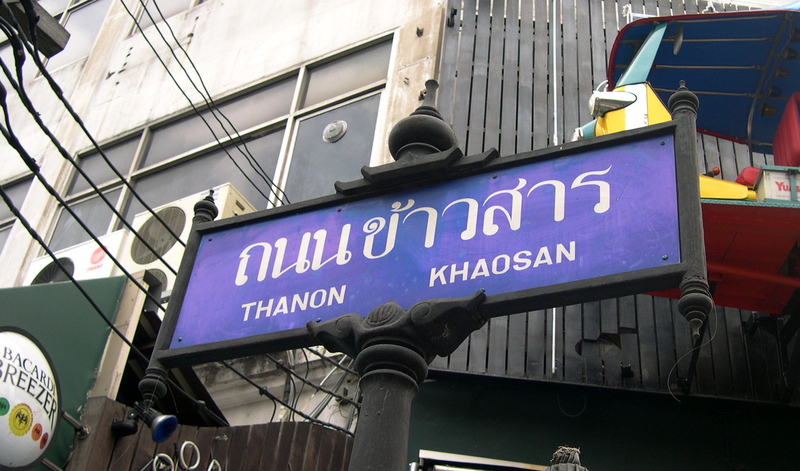 You can stay in places on Khao San for a few dollars a night or pay more for a nice hotel which is still pretty reasonable. There is an Irish pub, loads of other bars, a McDonald’s and a pizza shop, souvenir shops, fake Gucci shops, artists, a street market and loads and LOADS of backpacker’s hotels, hostels, rooms to let, etc. Millions of them! They are all pretty similar. I used to stay at the Marco Polo “hotel” (clean and quiet with aircon and your own toilet/shower but zero frills) but I wear flip flops in the shower – one of those places.It’s cheap – there is cheaper, but these days I am never THAT keen to save $2 – and it’s near McDonald’s, look for the sign. A nicer option if you wish to treat yourself is the Viengtai Hotel, just off Khao San. It’s the residence of JM whenever she’s in Bangkok. A standard room starts from 1400 baht p/night. It’s got a nice pool/restaurant and wifi in the lobby. For somewhere even nicer and quiet luxurious the Davis in Sukhumvit is lovely indeed! It depends which website you use to make your reservation but rooms start at about $75 – it’s hard to believe but the price of amazing accommodation is one of the reasons I love Thailand! The benefit to staying on Khao San is that you can buy tickets to anywhere in Thailand and even Cambodia and get picked up the next morning. There is so much travel information here, many other travellers to meet and if one has been on the road for a long time it’s a good place to stop and go to a real pharmacy (they have a Boot’s Chemist) get your hiking boots repaired or get fish and chips and a pint – most welcome after eating “jungle meat” for several weeks. 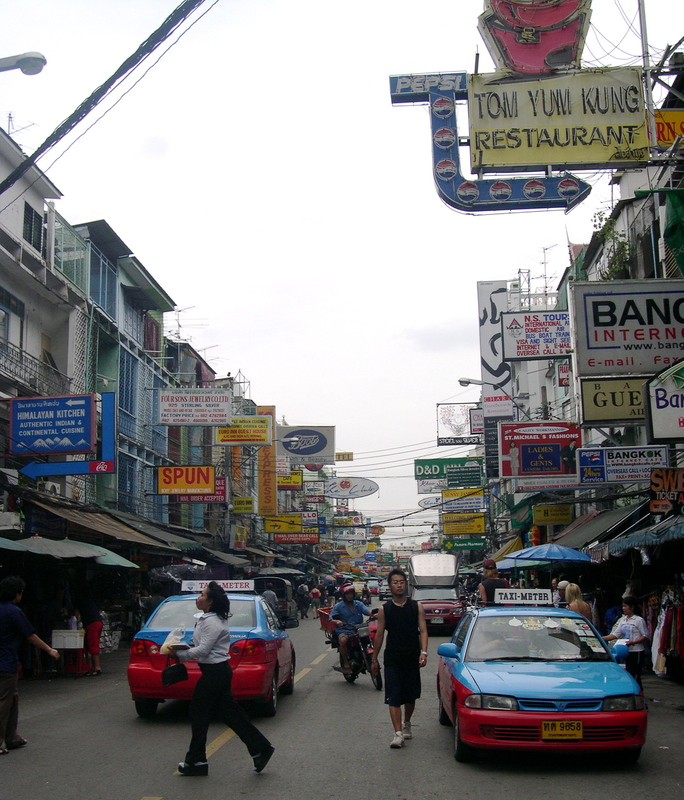 Sukhumvit is a great area as well – it has everything within walking distance. Don’t ever buy anything here on Khao San Road – it’s so overpriced compared to anywhere else, especially Bangkok Chinatown, which sells all the same stuff and more and it’s just down the road. Most of the items sold here are rubbish anyway. I find the same stuff near my friend SP’s house in Bang Na for 60% less.The Weekend Markets and Chinatown are the places to shop for gifts and MBK for clothing. Even the pad thai is more expensive here than Thanon Thanao, which is the next street. ♦ The Jim Thompson House on Soi Kasemsan 2 is a traditional Thai house built by Thompson, the legendary silk merchant. 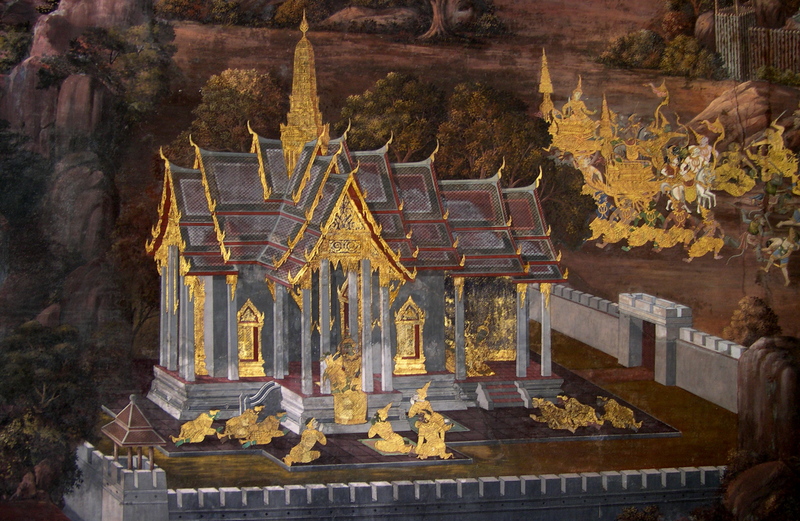 He built the house with preservation of traditional Thai architecture in mind at a time when Thai architecture was not so fashionable in Bangkok. The buildings are constructed without nails and the property has a spirit house and 2 pavilions. It was the talk of the town, as was Mr. Thompson himself. The house became even more famous after he disappeared into the jungle in Malaysia during a holiday in 1967 and the house is all we have left of him apart from his successful silk empire. Read Jim Thompson’s mysterious story and print a map from the website before you set off to visit. The house, which functions as a museum, is open till 5pm, admission is 100 baht and includes a guided tour. Don’t leave Thailand without buying a “Jim Thompson” branded silk item – it’s Thailand’s finest fashion house to this day. 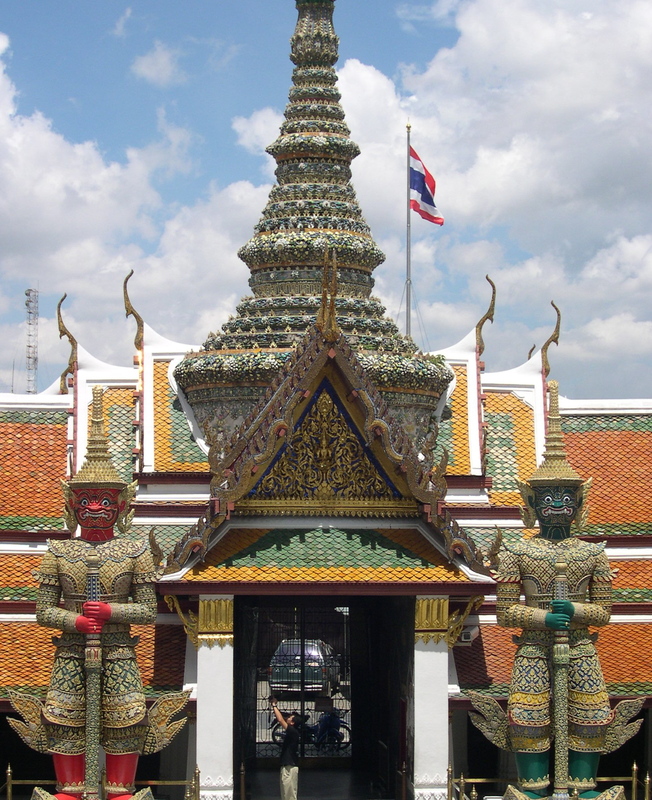 ♦ The Grand Palace of Bangkok is about 230 years old – fairly new by Thai standards, and it is a fascinating and sacred place including an armery, a mint (I don’t think it’s still functioning) and the temple that houses the famed Emerald Buddha. It’s beautiful, gold, bejewelled and glittery and I love it! The only thing the tourist must note about this palace, being so special and sacred, is that you must wear appropriate footwear (covered heel and toes) and ankle-length clothing, no exposed shoulders – rental cloaks and socks are available but I recommend just dressing appropriately. No obscene behaviour is permitted and no photos in the restricted areas or they get really, REALLY MAD! These unusual statues caught my eye on my last visit. They seem to be half-human, half-lion and some have a chicken’s tail. 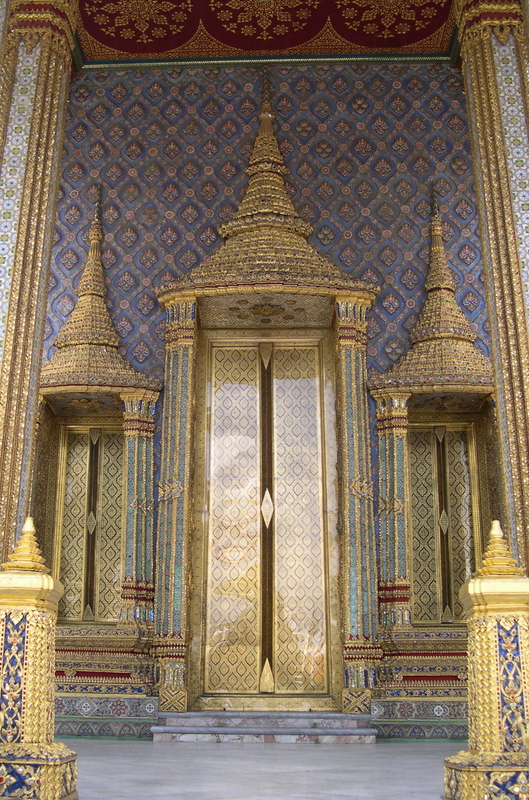 There is no speaking in the hall of the Emerald Buddha but it’s worth taking of your shoes and going inside – it’s stunning! I love the frescos along the walls that are illuminated with gold which tell the Ramakian epic. ♦ Wat Pho is just down the road from the palace and it’s the biggest/oldest/best temple in Bangkok. This temple houses the Reclining Buddha, which is 150 feet long and covered in real gold! You can hop it any taxi and they know where to go. A word of warning: people have been arrested in this temple and other sacred sites for any “disrespectful behaviour” such as pointing feet towards an image of the royal family or The Lord Buddha, mocking the images, reclining next to them, etc. This is a very special place to the Thai people and it’s good to remember that, better than ending up behind bars. ♦ Not everyone thinks about visiting a prison when on holidays but I do advise anyone with a few hours to spare to visit Bangkwang, Klong Prem or Lard Yao Prisons. Whether or not the incarcerated foreigners are guilty – I believe most of them are with the odd exception, contrary to their claims – they are a long way from any family or friends and many of them have no visitors at all. The conditions in these facilities are abysmal and it’s a very good deed to pay them a visit. The detainees don’t need to tell you how shocking their daily lives are: the lady who I met on my visit was very, very slim and I could tell from the picture on her ID tag, taken only a few months before, that she’d lost at least 30 kilos since she’d arrived. They all seem very keen to talk but not always about their situation – depends on the person. 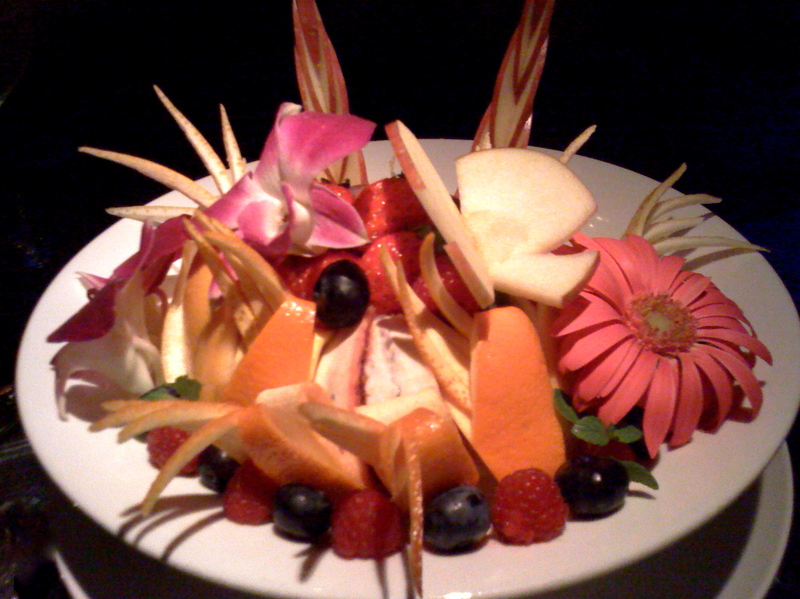 A gift of fresh/dried food – not canned, books or magazines are much appreciated. I visited a fellow Australian (seems to be a lot of them in these jails!) and gave her some things from Australia. I think it’s a positive experience. Dress modestly and whatever you tell the detainees you will do for them (ie. come back next week, send a letter for them, call their mum) DO IT or don’t make any promises if you can’t. I believe the ladies are currently in need of visitors more than the male prisoners. There is usually a metre and 2 fences between yourself and the prisoner so SPEAK UP. Check the websites or call your embassy to organise a visit, it’s easy. ♦ As I mentioned before, MBK and Chatuchak weekend markets and Chinatown is where I do my shopping in Bangkok. he markets sell clothing, Thai pewter, teak homewares, jewellery (lots of nice silver!) and other assorted treasures – plenty of trash as well! MBK is great! It’s huge, it is full of goodies and I always find something amazing and cheap – it’s not all cheap but you’ll find what you want if you look around. The clothing is smaller than in a lot of other countries – last time I tried on a pair of Calvin Klein jeans that were labelled as my size but I couldn’t get them beyond my knees.There are a lot of factory seconds and fakes here – good fakes, but fake nonetheless.Feel free to haggle. ♦ Getting a Thai massage is always the highlight of my trip to Bangkok. They are cheap and amazing and you can tell your masseur whether you want hard or soft or in-the-middle massages. In most places you keep your clothes on, or change into some loose clothing.You will find massage parlours all over town but I like to visit the Foundation for the Employment Promotion of the Blind on Chand Road – because they are the best massages I’ve ever had! ♦ Muay Thai isn’t just boxing – it’s also fun and very social and I have met so many people at matches. It’s pretty easy to follow as there are only 5 three-minute rounds so you can sit through 20 minutes or 3 hours – up to you. They have Muay Thai at MBK on Wednesday evenings and it’s free on Sunday afternoons at the Channel 7 stadium (at Mo-chit, opposite Chatuchak Park) but the people who know what they are looking for will probably want to go to Lumpinee Stadium, tickets cost about 1000 – 2000 baht. One friendly Thai man who I met in the street heard that I was interested in seeing the boxing and took me to see the boxing in a go-go bar in Patpong after the he/she dancers had finished – it cost nothing! The drinks were more expensive but as I was the only female there besides the ones who’d just finished work – well, most of them looked like girls – they didn’t charge me for most of them and some very nice Thais bought some drinks for me. 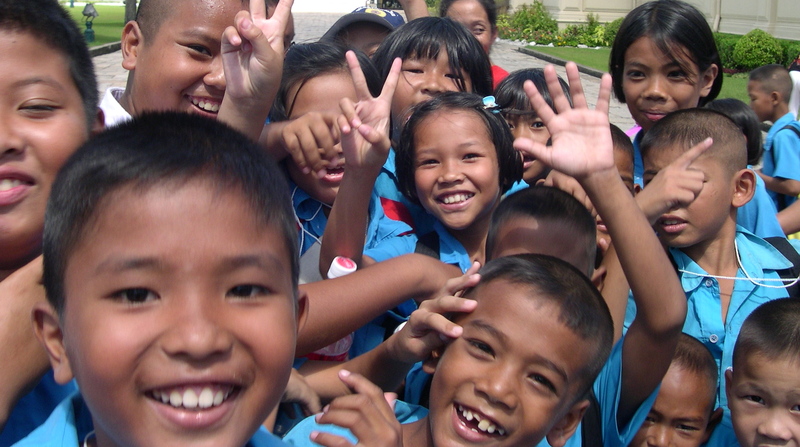 Friendly folk are the Thai people: the word “Thai” actually means free and I do feel very free and happy in this country. Now I feel like a trip to Bangkok, so if anyone needs someone to carry the bags/drive the tuk-tuk/act as a tour guide/be a lady’s maid please let me know!